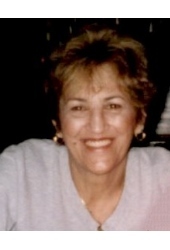 Rosemary S. Mahan, 77, passed away January 12, 2019. Rosemary was born June 27, 1941 in Detroit, the daughter of the late Salvatore and Josephine Cusumano. She is survived by her husband, Archie Atkinson; children, Jacqueline (Mark) Houk, Victoria (late John) Cantin, Renee Mayer, Theresa (Robert) Olechowski, April (Matthew) Duffey, Amber (Greg) Raymond; grandchildren, Stephen Houk, Michael Houk, Samantha Jo (Brian) Ogg, Melissa (Matthew) Cottone, Jacob Cantin, Brandon DeBaeke, Sarah Olechowski, Emily Olechowski, Robert Olechowski III, Brooke Klug, Nicholas Forthye, Kiley Raymond, Conner Raymond; great-grandchildren, Aiden Ogg, Addison Ogg, Lena Cottone, Ember Klug; brother, Thomas Cusumano; sister, Grace (Trent) Moore; and a host of relatives and friends. Rosemary was preceded in death by her husbands, Leonard Brasch, Raymond Mahan; and sister, Mary Jane Papi. Mass will be 10:00 a.m. Thursday, January 17, 2019 at Our Lady of Hope Parish, 28301 Little Mack Ave., St. Clair Shores, with burial to follow at Cadillac Memorial East. Visitation will be Wednesday, from 2:00 p.m. to 9:00 p.m. at Bagnasco & Calcaterra Funeral Home, St. Clair Shores.